A team of scientists has discovered genes that are involved in physical aging. By influencing only one of these genes, the healthy lifespan of laboratory animals is extended – and possibly that of humans, too. Driven by the quest for eternal youth, humankind has spent centuries obsessed with the question of how it is exactly that we age. 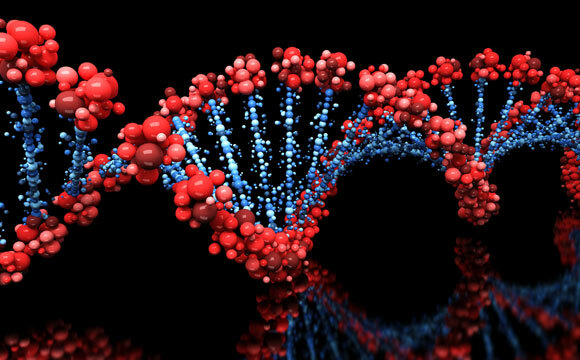 With advancements in molecular genetic methods in recent decades, the search for the genes involved in the aging process has greatly accelerated. Until now, this was mostly limited to genes of individual model organisms such as the C. elegans nematode, which revealed that around one percent of its genes could influence life expectancy. However, researchers have long assumed that such genes arose in the course of evolution and in all living beings whose cells have a preserved a nucleus – from yeast to humans. Researchers at ETH Zurich and the JenAge consortium from Jena have now systematically gone through the genomes of three different organisms in search of the genes associated with the aging process that are present in all three species – and thus derived from the genes of a common ancestor. Although they are found in different organisms, these so-called orthologous genes are closely related to each other, and they are all found in humans, too. In order to detect these genes, the researchers examined around 40,000 genes in the nematode C. elegans, zebra fish and mice. By screening them, the scientists wanted to determine which genes are regulated in an identical manner in all three organisms in each comparable aging stage – young, mature and old; i.e. either are they up regulated or down regulated during aging. Out of this volume of information, the researchers used statistical models to establish an intersection of genes that were regulated in the same manner in the worms, fish and mice. This showed that the three organisms have only 30 genes in common that significantly influence the aging process. By conducting experiments in which the mRNA of the corresponding genes were selectively blocked, the researchers pinpointed their effect on the aging process in nematodes. With a dozen of these genes, blocking them extended the lifespan by at least five percent. Ristow says that the multiple branched-chain amino acids are already being used to treat liver damage and are also added to sport nutrition products. “However, the point is not for people to grow even older, but rather to stay healthy for longer,” says the internist. The study will deliver important indicators on how the ageing process could be influenced and how age-related diseases such as diabetes or high blood pressure could be prevented. In light of unfavorable demographics and steadily increasing life expectancy, it is important to extend the healthy life phase and not to reach an even higher age that is characterized by chronic diseases, argue the researchers. With such preventive measures, an elderly person could greatly improve their quality of life while at the same time cutting their healthcare costs by more than half. Be the first to comment on "Scientists Discover Genes for a Longer, Healthier Life"